Standing behind my video camera Friday night at Davis Bilingual Elementary Magnet School’s mariachi and folklorico carnival watching wave after wave of young performers take the stage and wow the packed athletic field, it was impossible not to be impressed by the important transformational engine that Davis has become. 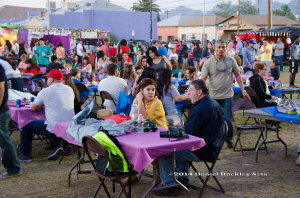 Begun by Alfredo Valenzuela, and now succeeded by his son, Jaime, the school’s extraordinary mariachi program, Las Aguilitas de Davis, have become a cornerstone of mariachi education in the city of Tucson but also a transformational agent in increasing acceptance of all members of our racially and economically diverse community. 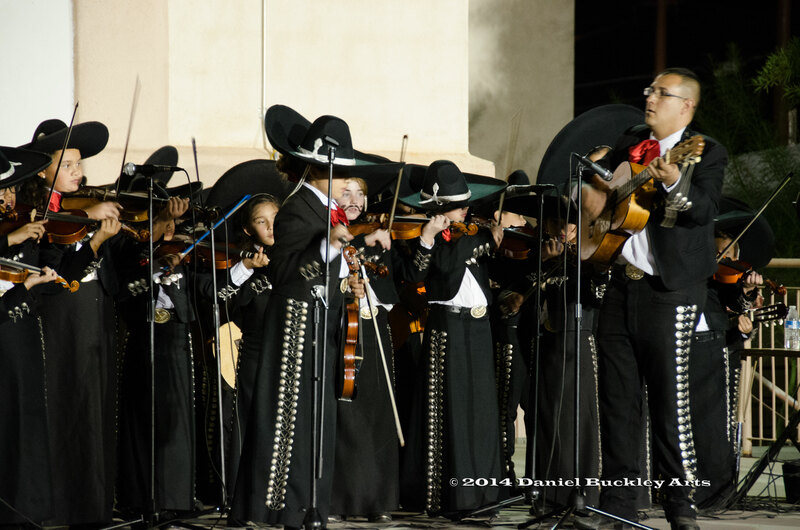 The Valenzuela family dynasty is a major force in Tucson’s mariachi community. In addition to Alfredo and Jaime Valenzuela at Davis, Alfredo’s son Rudy head the program at Roskruge Middle School and Rudy’s daughter Araceli heads community groups. In the crowd one saw families from all walks of life, many colors and cultures, all cheering on the accomplishments of their children and acknowledging that we have far more in common than dividing us. Well, that, and supporting this vital program. On the stage one saw accomplished young players, singers and folklorico dancers performing with heart, soul and a level of technical competence that leaves one slack jawed. Young people who were once themselves students in the Davis program are now teachers in other programs throughout the city. The fallout from the jumbo head start Davis gives kids is seen all over our city. 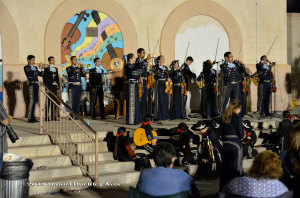 In addition to Davis’s Aguilitas, which headlined the program, performers included Mariachi Aztlán de Pueblo High School, Mariachi Corazon, Mariachi Ariztlan de Tucson High, Mariachi Milagro, groups from Roskruge Middle School and more. As one watched last night it was easy to see why this happens. The steps leading up to the concrete “stage” were almost always swarmed by young Davis mariachi students, anxious to see where the music would take them as the older players performed. 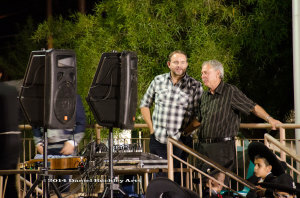 Parents and grandparents beaming with pride, little kids playing on the adjacent playground equipment dancing to the music and people stepping up buy tickets for raffle items to support the program told you that the community values what Davis is doing. Moreover the visible camaraderie of program directors from area school and community programs echoed the bond they feel toward one another and Davis, joined in making a better world for Tucson’s young people through fabulous, culturally relevant music and dance. 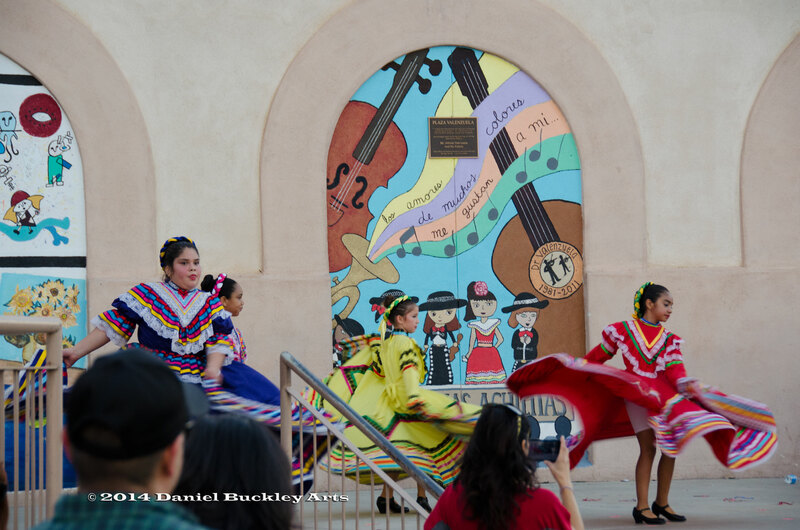 It was the perfect place to be filming for my documentary, The Mariachi Miracle, not just for access to so many groups of young performers in one place but for providing so much ancillary proof of the power of these educational programs to transform our communities. ~ by Daniel Buckley on October 25, 2014. Wonderful to see going on!! 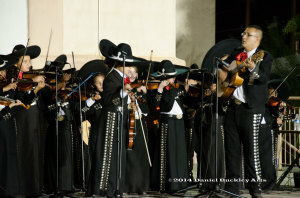 For many years, Mr. Alfredo Valenzuela and his family have been and continue to be an institution in inspiring youngsters in Tucson to feel mariachi music in their heart and soul. They create Mariachi Magic. Simply beautiful!